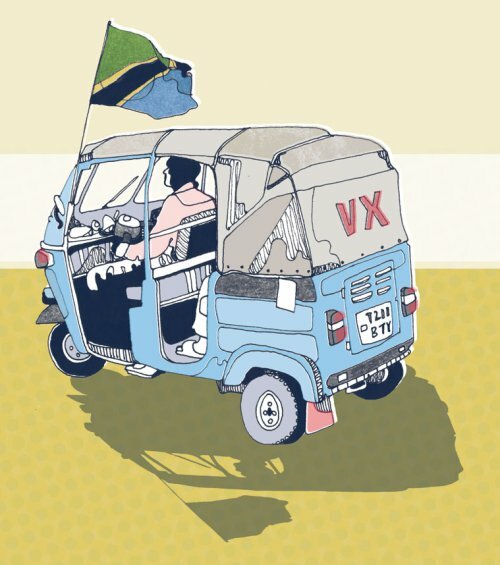 In Dar es Salaam there are buses, minibuses, taxis, motorbikes and three-wheelers (bajaj) – all available to transport the public. But for moving large number of people there are basically just the large buses. Always painted in the colors of where they come from and where they go with the terminal stations stenciled onto the colors: “Posta”, “K/Koo”, “M/Mbusho” or “M/Rangi” (find a map with some Dar bus stands). And they have curly writing on the side: “City Bus” it says. Let’s do a little thought experiment to visualize the challenges faced by many developing countries. Imagine a country with a population growth of 5% and economic growth of 3% per year. The standard of living in year 0 would be 100%. Where would that country be after twenty years?